it could be your lenses. As the month goes on, you might be using rewetting drops, taking breaks, or removing them to deal with the discomfort. If this sounds familiar, NEW ACUVUE® VITA™ Brand with HydraMax™ Technology might be for you. HELPS MAXIMIZE the hydration throughout this lens – providing comfort from the start of the month. HELPS MAINTAIN hydration – providing lasting comfort throughout the month. 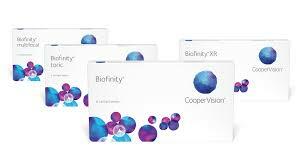 Biofinity Energys is the newest product for patients who use tablets, computers, and cell phones. 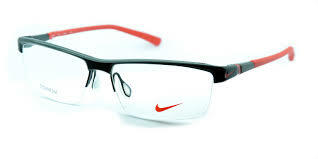 The multiple optics helps reduce eye strain and there enhanced moisture in the lens material. These are monthly use lenses. With the purchase of 4 boxes (1 year supply), the rebate equates to one free box.. The New 1-Day contact with a tear-infused designHydraLuxe™ Technology is a tear-infused design with an enhanced network of tear-like molecules that integrates with your patients’ own tear film each day. ACUVUE OASYS® 1-Day with HydraLuxe™ Technology uses these tear-like molecules to help support a stable tear film and reduce symptoms of tired eyes and dryness. 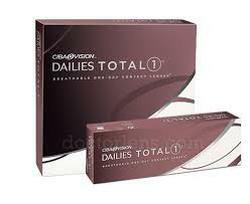 Dailies Total One by Alcon. These contacts use water gradient technology. This is a revolutionary new lens that is designed for people who want the ultimate comfort level in a daily lens. It has been in Europe for awh﻿ile now, and it finally now here in USA. Patients who have tried it says it is virtually a "no feel" lens on your eye. There is a "wow" factor in wearing this lens. Vision even seems clearer to many patients. Your eyes are working all day - shouldn’t your contact lenses, too? 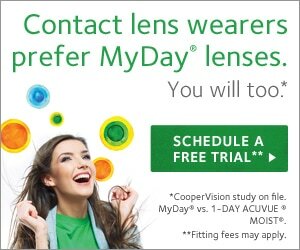 MyDay® daily disposable contact lenses will work all day for you, featuring a combination of comfort, breathability, and easy handling not found in any other daily disposable contact lens. Call us today for an appointment and a free trial. This is the latest lens of the Biofinity brand that is designed to provide clear and comfortable vision for all distances. It combines two technologies, Aquaform Comfort Science (allowing the lens to be more resistance to dehydration and protein deposits), and Balanced Progressive Technology (creating excellent vision at near, intermediate, and far distances). Package deals for Kids, Teens, Adults for frame and lens starting at $155. A 1 year warranty is offered on specially selected frames for those patients who do not have an eye insurance but are looking for a quality frame and lens at a reasonable price. Great for a second pair of glasses Ask our doctors or staff about this special deal today! Don't forget to protect your eyes from harmful UV rays. We have expanded our optical inventory to include designer sunwear, such as, ​Burberry, Calvin Klein, Polo, Ralph Lauren, DKNY, and others. Please come visit us to receive 20% off sunglasses. We have added to our frame inventory which now includes Prodesign Denmark. 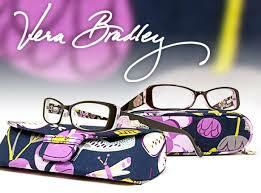 Our current designer frames include Polo, Versace, DKNY, CK, Koali, Nike, Burberry, Jimmy Choo, Ann Klein, Hello Kitty, DVF, Vera Bradley and many more. Prodesign Eyewear aims to balance classic and clean with bold and bright to continuously keep classic styles updated with adding a twist of something surprising – something unexpected. 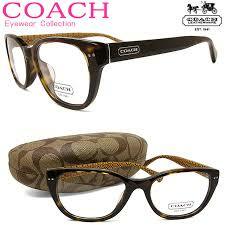 They design eyewear that completes and enhances the lines of the face. The ultra-mod Burberry Eyewear collection features the latest styles in modern designer fashion, all crafted to the highest levels of quality. Burberry Eyewear materials include Acetate or Metal frames with rectangular and butterfly shapes for unisex appeal. We have also added Oga frames by Morel and Lightec which are Scandinavian inspired frames for men with a combination of aesthetics along with material technology found in the modern industrial world. The collection offers muted and rich colors, clean crisp design lines, and unique styling using modern frame materials. These are French made and feature contemporary designs with several sleek, yet tastefully bold, styling cues that set the line apart from the mainstream. In addition to the above new lines, we continually update our collections of Ann Klein, Burberry, Calvin Klein, Coach, Prada, DKNY, Juicy Couture, Kenneth Cole, Koali (a very distinctive collection based on nature), Nautica, Nike, Oga, Versace and others every 6 to 8 weeks. In the children's section, we have added PEZ, Jalapenos and Hello Kitty, along with Miraflex frames for infants, and other unique new frames in several styles and colors. Special discounts are available on an additional pair of glasses. Visit the Vision Council page above to learn more about blue light and its effects on the eyes. We offer technology through multiple lens manufacturers that can help shield your eyes from harmful blue light. We have a number of specialty lenses for high prescriptions in various indexes for cosmetic appearances. We carry Transitions VII Signature which changes faster, darker and lighter, the newest if the graphite lens which is a dark green lens which enhances seeing. Experio polarized lenses, mirror coated lenses for active lifestyles and numerous premium anti-reflective coatings such as Crizal Avance with UV protection. In July 2019, Transitions VIII is coming out. We also have a wide variety of materials for drill mounted lenses (these are glasses with no frame around the lenses). We also use Trivex, a new high tech lens with high tensile strength and minimum aberrations. Special edge treatments, custom tinting, and custom clip on sunglasses are also available. We stock multiple sun clips that can match a variety of frames for instant wear. Other accessories include spray cleaners, cleaning cloths, and lint-free cloths such as Kimwipes. The latest lens option is Transition Vantage, which a variable Polarized Transition lens that changes in the sun and is polarized for those patients who are annoyed by reflections off water surfaces and snow glare. Fishing enthusiasts and skiers will love them. Based on a groundbreaking new lens design, Shamir Autograph III is a balanced progressive lens, holistically adapted to the patient's prescription, ensuring a clear and comfortable visual experience for all. With several new advanced technologies, this new progressive lens from Shamir is specifically designed for hyperopic and myopic presbyopes. XPERIO UV IS THE SUPERIOR POLARIZED SUN LENS WITH A BIG DIFFERENCE! All Polarized prescription sun lenses are not the same. XPERIO UV lenses are so superior to other polarized sun lenses that they take the outdoor vision protection to a whole new level. From superior color, clarity and optics to unparalleled UV protection, XPERIO UV lenses gives you the best vision under the sun!